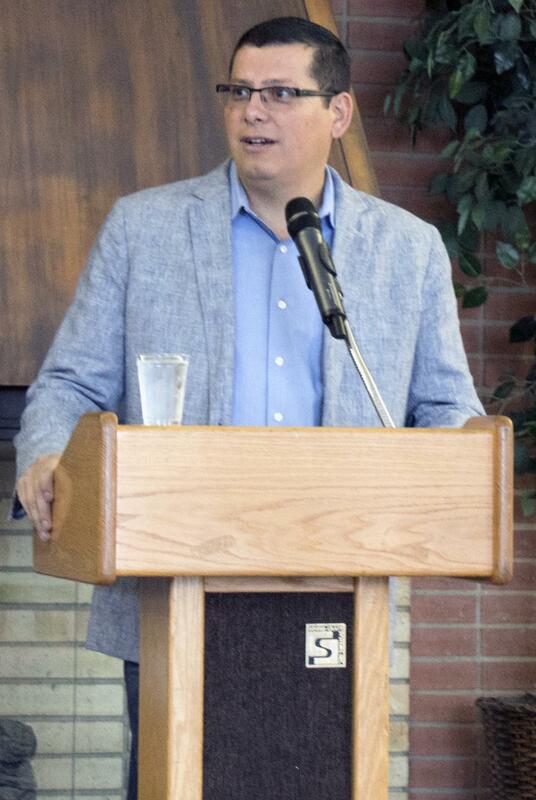 Rudy Salas answers BC students's questions during an open discussion held in the Fireside room. 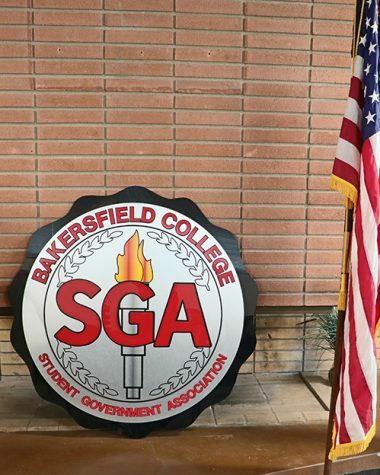 The Bakersfield College Student Government Association hosted a Power Lunch with California State Assembly member, Rudy Salas, at 11 a.m. on Nov. 27 in the Fireside Room. 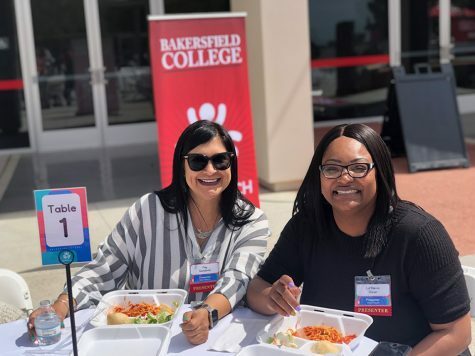 The event provided BC students with the opportunity to pose questions to Salas, while enjoying a lunch that consisted of grilled chicken, potatoes, rolls and salad. 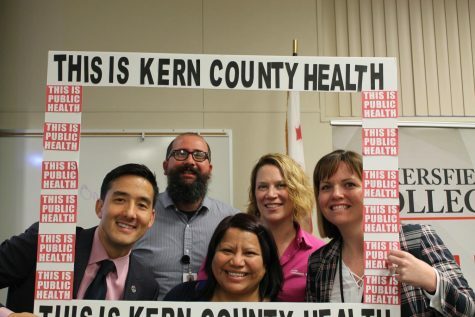 Salas began with sharing stories of growing up near South Union Avenue in Bakersfield, and went on to detail how and why he became a California state assembly member. Salas chronicled how he went on to graduate from UCLA and work for the White House. 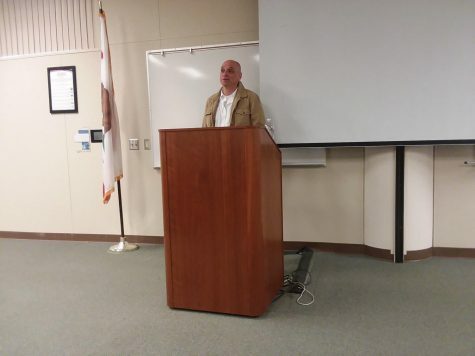 He stressed the importance of education in achieving his goals, which is why Salas authors and pushes for assembly bills which increase access to education for California residents. Salas spoke at great length about AB19, which makes the first year of community college tuition free for full-time students in California. 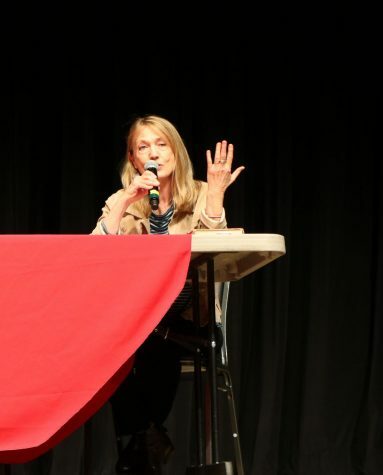 Salas encouraged attendees to get involved in their community and to work toward improving the issues they see. He stressed the fact that voter turn outs for young people are far lower in comparison to older voters. Salas stated that if people want their needs to be addressed, they need to participate in local politics by voting.